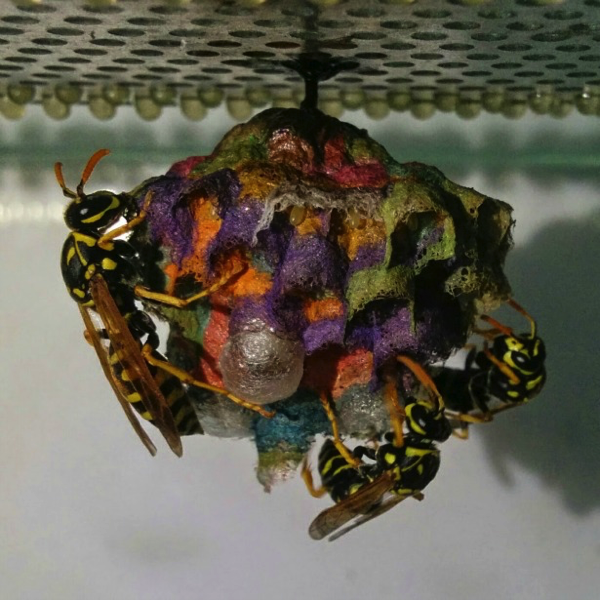 Colorful Wasp Nests #ArtTuesday « Adafruit Industries – Makers, hackers, artists, designers and engineers! In an at-home experiment, Mattia Menchetti gave a captive colony of European paper wasps some building materials. Starting with yellow, Menchetti provided the social insects with different colored papers until the wasps had constructed a rainbow-colored nest for their squiggly little offspring.